Much of the staff of Coyote Ugly Panama City, which is closed for repairs, has been greatly impacted. 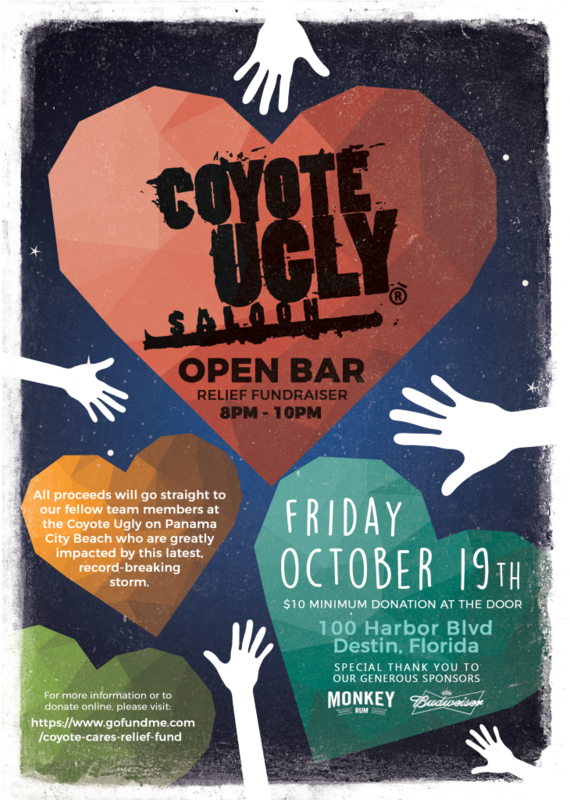 We are hosting a fundraiser at all other Florida locations (Daytona Beach, Destin, and Tampa) on Friday, October 19. 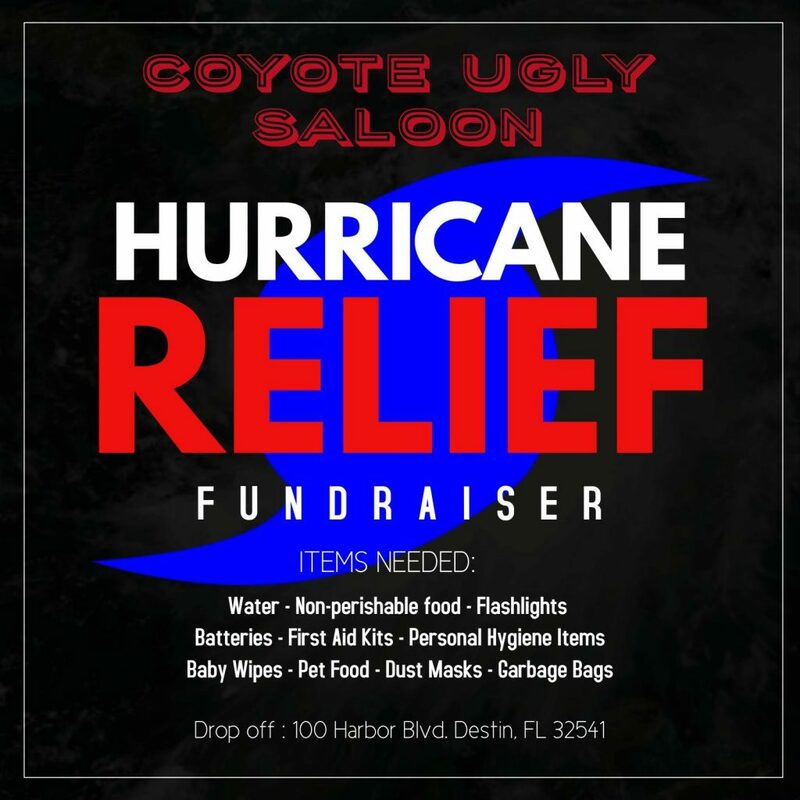 Coyote Ugly Destin is open and taking donations of the following items at 100 Harbor Blvd.